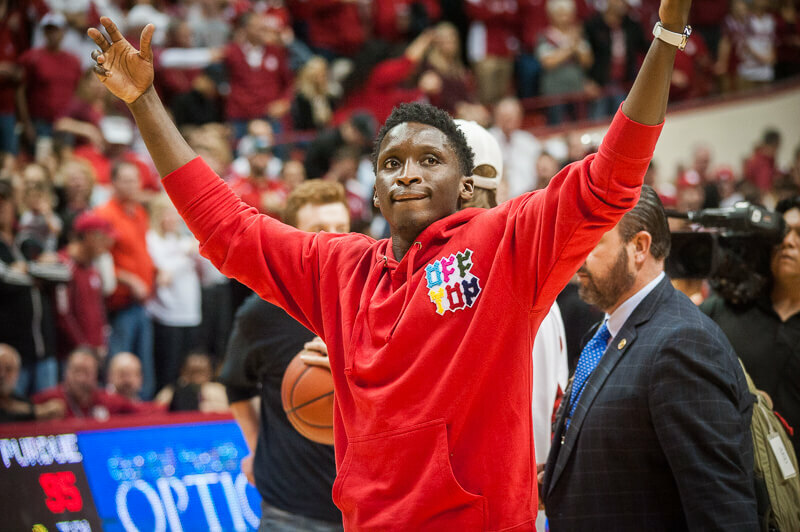 Indiana Pacers guard Victor Oladipo was named Wednesday to the 2017-18 NBA All-Defensive First Team. Oladipo led the NBA in steals with 2.4 per game; and his 177 steals were the most in the NBA since Ricky Rubio recorded 191 steals for Minnesota during the 2013-14 season. He recorded a steal in 64 consecutive appearances to end the regular season, setting a new franchise record for most consecutive games with at least one steal, and tying the fourth-longest streak in NBA history. Oladipo is the fourth Pacers’ player to be named to the NBA All-Defensive First Team, joining Don Buse, Ron Artest, and Paul George. I can’t help but look at this roster and see all the same issues that they had this past season, only without their two most talented players. Turnovers. Lack of star power. Some defensive issues. Winston has a chance to be a first-team all-Big Ten player, but Langford and Ward are going to have to live up to their potential. It feels like this group has nice pieces, but that those pieces doesn’t necessarily fit together. Excessive roster turnover and players leaving in poor academic standing can negatively affect a team’s APR score. According to the NCAA, programs must earn a four-year score of 930 to compete in the 2018-19 NCAA championships. So IU is not in danger of incurring any immediate penalties. The only Big Ten men’s basketball program to post a lower multi-year rate than Indiana was Ohio State, which scored a 936 for the period beginning with the start of the 2013-14 academic year and ending with the 2016-17 academic year. Data that includes Archie Miller’s first season as IU coach will be released next spring. Under the terms of his contract, Miller will receive a bonus of $125,000 if the most recently calculated multi-year score is greater than or equal to 950. Among the most notable omissions are Sacramento Kings point guard De’Aaron Fox and Toronto Raptors forward OG Anunoby. The 20-year-old rookie finished 13th in voting, including two first-team votes. Anunoby ranked 25th among rookies in scoring (5.9 points per game), seventh in three-point shooting (37.1 per cent), and 14th in minutes played (20.0 minutes per game). After coming off the bench for his first 12 games, Anunoby started 62 games and became a mainstay in the Raptors’ starting lineup, helping Toronto to the No. 1 seed in the East.